A lot has happened last week for me in raiding land. After taking down Thok, Innovation went on. Next target was Siegecrafter, that took a while. There is just so much fire, and stuff happening. You have to run around sometimes, with no idea if you can actually get back. But, the moment our raidleader put the ranged dps on a spot inside the second fire-circle, it was game over for Siegecrafter. Next up: Paragons. 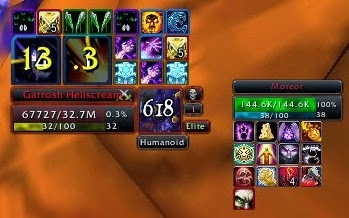 I always found this fight easy, and normal...mm..heroic, our first kill was the second pull, and I was not really expecting a very long wipefest on Mythic. So, we took them down on our first pull...with a catch. Halfway the last paragon, only our DK-tank, two retridins and a warrior where left alive. The warrior didn't made it to the end, but the selfhealing of those last three was enough to take the last one down, took a while, but the road to Garrie was open. Now, Mythic Garrie... an extra Phase, with circles, dots, fire from the sky and big iron balls. That was new for us, never seen that before, and you had to go through all the normal phases to actually see what was happening. So, this took a while, and after one thursday-evening of wiping, Garrie was still up, sunday was next. But I had made a Video for everyone to see what was happening. Friday came, and I logged on to my Blood Elf paladin to partake in a heroic Garrosh run. There where some problems, but once Beyond redemptions RaidLeader figured out that only 3 of the 6 healers were actually healing, Garrosh went down, and Gwaednerth got his guaranteed heirloom, a 2H strength axe, and the title: Liberator of Orgrimmar. On Saturday I did someting new, I used the new Blizzard Premade group Finder to join a HC Garrosh run on Lorinthe, my Warlock. Why Lorinthe, well, I either would get the OH or the Staff, and because I already had one spellmace, both would be usefull. 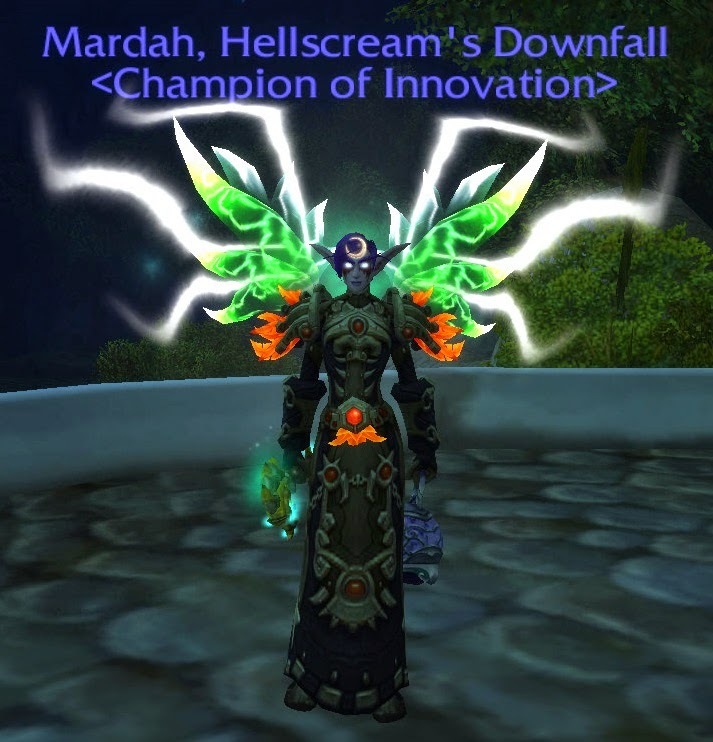 Lorinthe's Ilvl is also in the 560's, so I applied to a group, and got a direct invite. This group pulled quickly, and together with my green fire, killed Garrie in one pull, and I got the Staff, probably my togoto weapon for levelling Mardah. And then Sunday came around. I had some pre-raid remarks for our RL (always do them pre-raid, not during), and Innovation went in again. We had a little different tactic on P4. The Malice-target had to run between groups, instead of people with blast running out, And because the Bombardment seemed partially targetting players, the tanks didn't pull Garrie to spot 2 during that.